Windchest interior showing new borrow action installed. 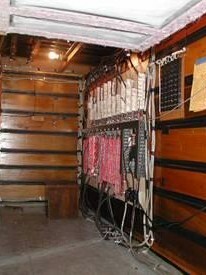 New solid-state relay installed within the organ. 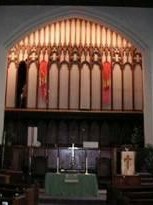 Buzard Pipe Organ Builders was privileged to complete a major rebuilding project of the organ at Kenwood United Methodist Church in Milwaukee, Wisconsin. 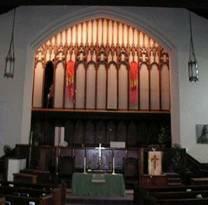 The church’s 1928/1948 Austin organ underwent the following repairs and improvements. 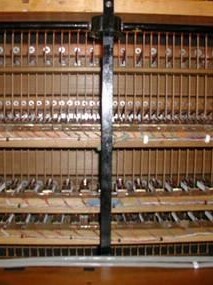 Mechanical restoration of the front organ. 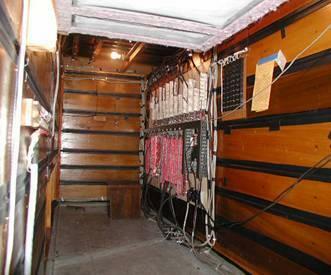 Replacement of the console and relay. New chestwork for the Solo. A new 5-stop electropneumatic action pitman windchest was constructed and installed for the straight stops in the Solo. 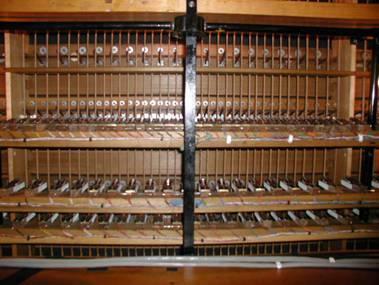 A new electropneumatic action unit windchest was constructed and installed for the Harmonic Flute and Stopped Flute. A note from Larry Wheelock, the former Organist/Choir Director at Kenwood. I continue to explore the colors of the “new” Kenwood instrument and find myself carried away with the elegance and cohesiveness of its sonorities. I am astonished to think that it is essentially the same instrument, physically, and yet it has transcended its patch-worked history and emerged with an entirely new and exciting personality; assertive, yet superbly refined and sophisticated. I don’t have words to express how pleased I am with the result of your work. I have heard nothing but compliments from the congregation at large, and the few organists who have visited so far have been amazed at the transformation. 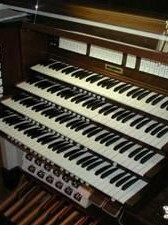 The organ professor at the UWM, Martha Steihl, (also MSO organist) has contacted me already and is requesting to have her performance class at KUMC with a visiting professor (Jesse Eschbach) this Monday, as well as requesting student practice and teaching privileges. This is exactly what we hoped for! I am SO excited! 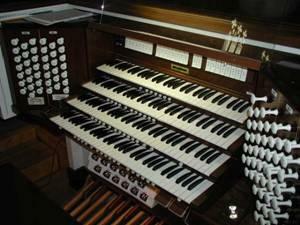 The congregation has stated from the beginning of the project that they perceive the A. O. Smith Memorial Organ as a ‘community resource’, and this is the first validation of their vision; hopefully, the first of many.